Several Licensing issues will be heard in coming weeks affecting Brixton Hill residents. Councillors have made representations on these issues and are keen to hear more from residents. An enterprising local resident is seeking a licence to sell champagne from his home in Maplestead Avenue. The property will principally be used, if a licence is granted, for storage and to make deliveries of internet sales but the application would also allow for members of the public to come to the location on Fridays, Saturdays and Sundays 12-8pm to buy directly. Following representations by Councillor Martin Tiedemann, the application has been amended to only allow trading from the premises during normal working hours rather than the 24/7 hours originally sought. This will at least mean that delivery trucks etc will not cause a nuisance outside normal working hours. However, Cllr Tiedemann has maintained his objection to the application for the public to visit the house and buy in person. Cllr Tiedemann has ascertained that the location does not have planning permission to do this and feels that a residential building in a quiet side road is not an appropriate location for a shop open to the public. What do you think? 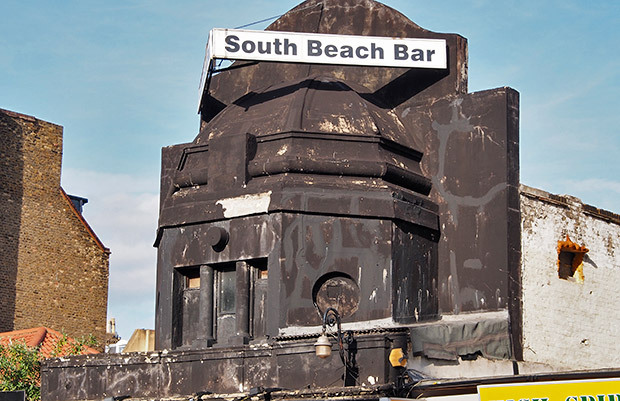 Following the decision of Lambeth Council’s Licensing Sub-Committee to refuse permission for the White Sands venue on Brixton Hill – formerly the troubled South Beach Bar – to operate, the owners have met with councillors and residents and submitted a new application. The owner of the property, Mr Khan, gave a small number of councillors and residents a tour of the building which had recently been damaged by fire. He gave assurances about his commitment to working with local residents, and also that he would not seek a licence in order to sell or rent the building to a club operator. Nevertheless residents and councillors continued to express concerns about the suitability of an entertainment use at this location and the impact on parking and residents from the large numbers potentially coming to the venue. A less intensive use of the location would be preferred with space for activities of community benefit. Cllr Martin Tiedemann has made representations on this issue and sought further conditions and assurances. We hope to continue to work with Mr Khan and residents to find an appropriate use of the old cinema. Following a dispute with local residents over claims of unacceptable smell and litter, popular takeaway True Flavours on Acre Lane installed ventilation and was granted planning permission to operate. It has now applied for a licence to operate until 5am every morning. Cllr Martin Tiedemann welcomed the efforts of True Flavours to address the concerns of residents and to get the proper planning permission that they did not previously have. However, these changes have not yet completely reduced smell to an acceptable level, and there have been concerns of people hanging around and causing nuisance. He will therefore be making representations to say that this is not an appropriate location for a takeaway until 5am. Residents have until 29 April to make representations about True Flavours by emailing licensing@lambeth.gov.uk. This entry was posted in Blog and tagged Acre Lane, Brixton Hill, licensing, Maplestead Road, Martin Tiedemann, restaurants and bars by Martin Tiedemann. Bookmark the permalink.